Blog 022 > Hey, Surprise Ninja Attack! 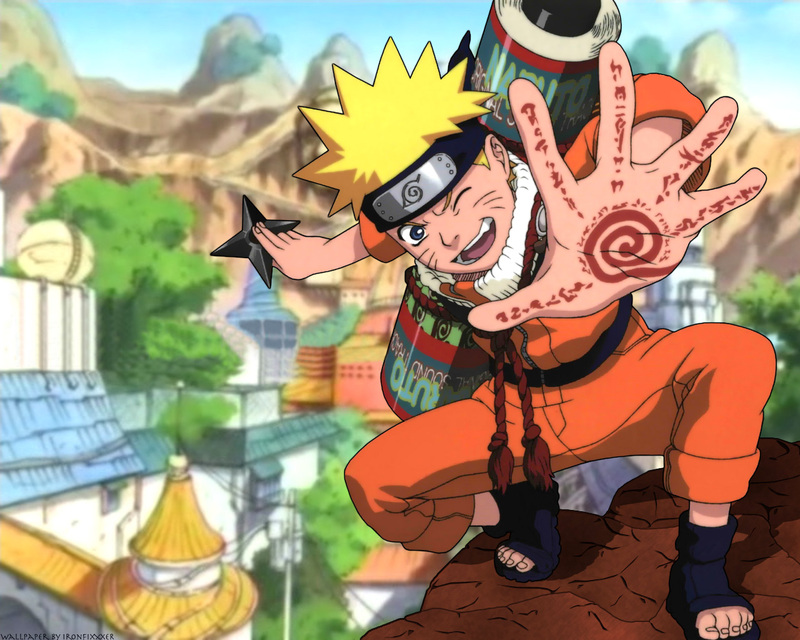 yesterday, finished my LAST anime of the year “naruto” season 1 (of 9 so far! )… okay, now prior to starting this series, i’ve heard the mocking rants against it, and at first glance, i chuckled with the jokes… after all, naruto looked like just another loud-and-crazy teenaged boy on his quest to be the number one ninja, attracting anime fanboys and fangirls who seemed to be just as loud and crazy… but without having seen it, i figured why not, i’d see what everyone got so worked up about… and wow, was i surprised!! !… i admit, the first 5-10 minutes of each episode seems to be a repetitive rehash of the previous episode, but overlooking that, the eye-grabbing series is amazingly action-packed, cleverly choreographed, and unexpectedly tearful… revolving around the still loud-and-crazy yet complex Naruto, the quieter dark-haired ninja-genius Sasuke, and the book-smart pink-haired Sakura, these three rookie ninjas must learn to work as a team, endure unpredictably bloody missions, confront tragic deaths, and strive to advance to the next challenging level of their ongoing training, without tripping over each other… this is another comedic-yet-dramatic tale of friendship and personal dreams that’s worth checking out… 5 of 5 stars! Blog 152 > Afro Samurai Attack! Blog 017 > My 55 Anime in 2006! Blog 011 > Artificial Flight! Blog 010 > Aerial Odyssey! This entry was posted in Anime Reviews, Naruto. Bookmark the permalink. ← Blog 021 > Crazy Path Called High School!